As Mercy Housing continues to celebrate Women’s History Month, we look to some of our long-time supporters to explore what home means to them. Since our beginning, strong women have nurtured the growth of Mercy Housing from a small Nebraska organization into one of the largest nonprofit owners, managers, and developers of affordable housing in the country. From the boardroom to those welcoming new residents in their very first apartment, fundraisers, and the women that call Mercy Housing communities home, we celebrate and honor the Women of Mercy who have shaped Mercy Housing into the organization we are today. 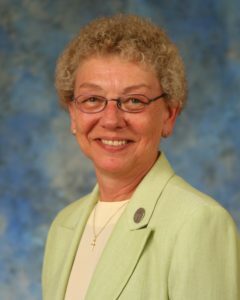 A Sister of Bon Secours for 53 years, Sister Rose Marie Jasinski, CBS, is a health care professional in direct health care service, management, and governance. During her many years of service with Bon Secours Health System, Inc., she has served in nursing and nurse management positions. As a Sister of Bon Secours, a Founding Community of Mercy Housing, Sister Rose Marie has been involved with Mercy Housing for many years in various capacities and currently serves as Chair of our Corporate Member Group. Her dedication to people in need and social justice continues to inspire and guide us as we serve families through stable housing and essential Resident Service programs. 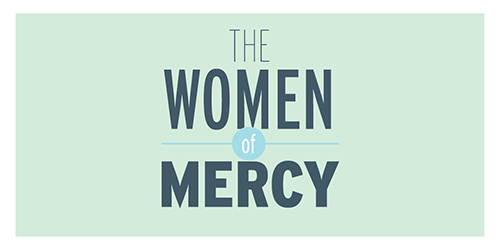 Today, Mercy Housing and all the women that work so hard to give families, veterans, and people with special needs a sense of home continue to find strength from the Women of Mercy. Throughout the year we’ll continue sharing the wisdom, hope, and mercy that these women continue to foster.